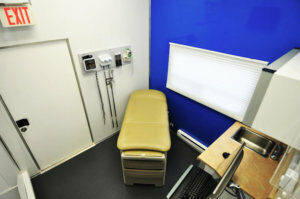 Capital Area Health Express is a comprehensive primary health care mobile unit facility licensed as an outpatient clinic. The Express is located on or near school grounds and serves students in grades pre-K-12 (all Title 1 schools) and their family. The Express is staffed by multi-disciplinary teams of pediatric and family medicine specialists, including nurse practitioners, physician assistants, social workers, physicians, dentists and dental hygienists. The Health Express saves parents and employers time by allowing students to stay in school to get their health care needs met and easily facilitate follow up care. It also improves student health by managing children with chronic or other underlying illnesses and promoting sound nutrition. With the Health Express available at the school site, student attendance is increased and students receive timely and appropriate medical and dental services, keeping them out of the Emergency Department for their primary care needs. The Capital Area Health Express (School-Linked Health Center) is not the same as the school nurse’s office. School nurses and the Health Express staff work together, and school nurses often refer students to the Health Express because we are able to treat and resolve acute and manage most chronic student health problems. All Capital Area Health Express services are confidential. For students to receive services, parents must sign a Parent Permission / Consent Form. 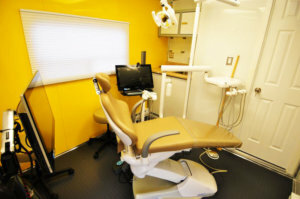 Capital Area Health Express provides primary medical and dental health services to students enrolled at the site school. We accept Medicaid and all major insurances. If your child is uninsured, we offer a sliding fee scale to help minimize your cost. We emphasize prevention, as well as the early identification and treatment of physical and dental health concerns.